Jupyter Notebooks are favorite GUI for Data Science and Machine Learning documentation. and mix with program code that can run interactively, with data, on an connected server. 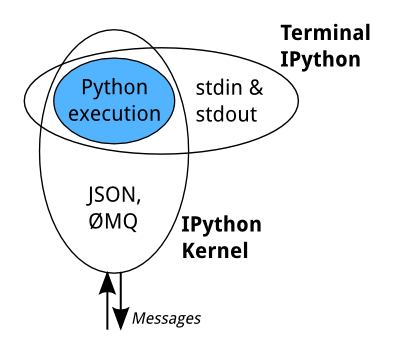 It started as an interface for Python, called IPython, and evolved to support related languages Julia and R, expanding and renaming project to Jupyter. Now there are 50+ languages supported. 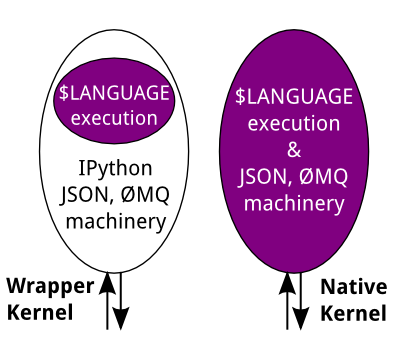 with "Kernel" process that runs interactive code. "The Notebook frontend does something extra. 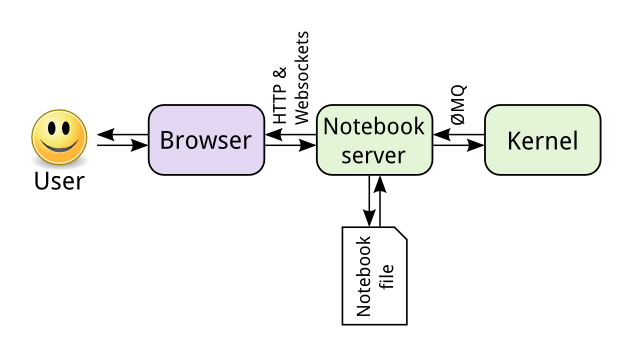 In addition to running your code, it stores code and output, together with markdown notes, in an editable document called a notebook. When you save it, this is sent from your browser to the notebook server, which saves it on disk as a JSON file with a .ipynb extension. very interesting recorded presentations from previous conferences! "...complete integration of video synchronized with the flow of the text, as well as the ability to execute the code: this is probably as close as we can get to learning side-by-side"